The Holman Bible Atlas offers a rich visual and textual exploration the world of the Bible. 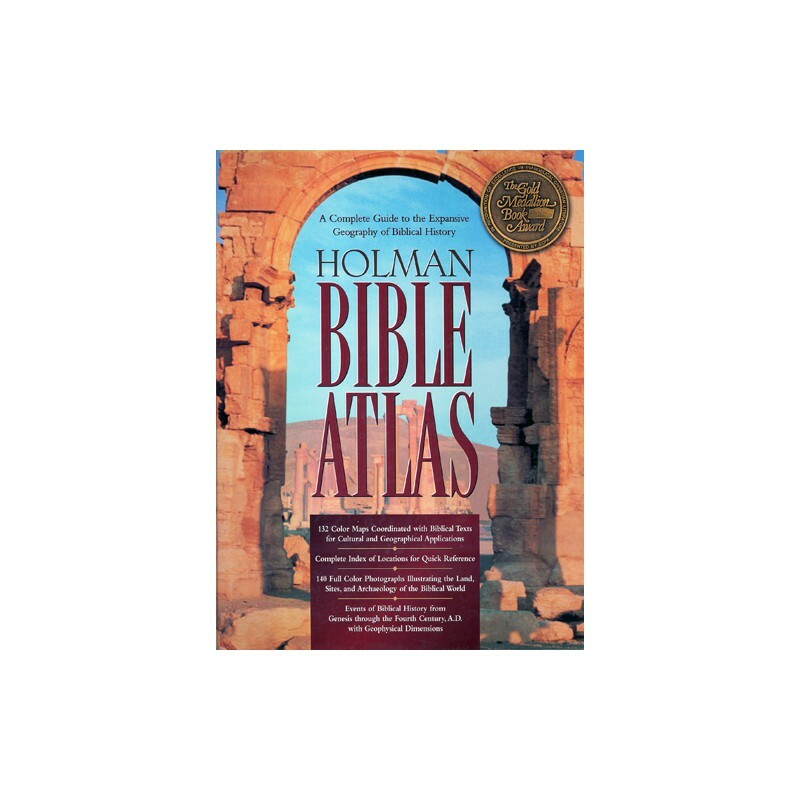 Utilizing 140 full color maps key to biblical events and 140 full color photographs illustrating the land, sites, and archaeology of the biblical world, the Atlas draws the reader into the biblical story. 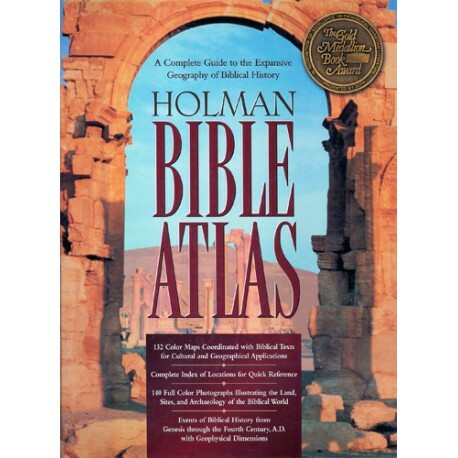 The Holman Bible Atlas offers a rich visual and textual exploration the world of the Bible. Utilizing 140 full color maps key to biblical events and 140 full color photographs illustrating the land, sites, and archaeology of the biblical world, the Atlas draws the reader into the biblical story. Beginning with an introduction to the geography of the biblical world, it emphasizes the major physical features of the Ancient Near East with special attention given to the geographical regions of Palestine. Information includes descriptions of daily life and the role of archaeology in recovering ancient cultures. It is an invaluable tool for studying and teaching the Bible. Laid out in chronological order, it begins taking a general look at the geography of the ancient Near East. It ends with the expansion of Christianity up to 300 AD. Throughout this comprehensive survey, the Atlas follows the sweep of the geographical history of the nation of Israel to the early Christians. Every Chapter is filled with striking pictures, informative charts, lists, and excellent maps. Cutaway topographical maps vividly show the course of historical events, such as Joshua's military campaigns. As with all other Biblesoft reference content, The Holman Bible Atlas is loaded with links to other topically organized resources. Want to know more about a location on one of the maps? Just click the location for instant access to any related information in your PC Study Bible library.